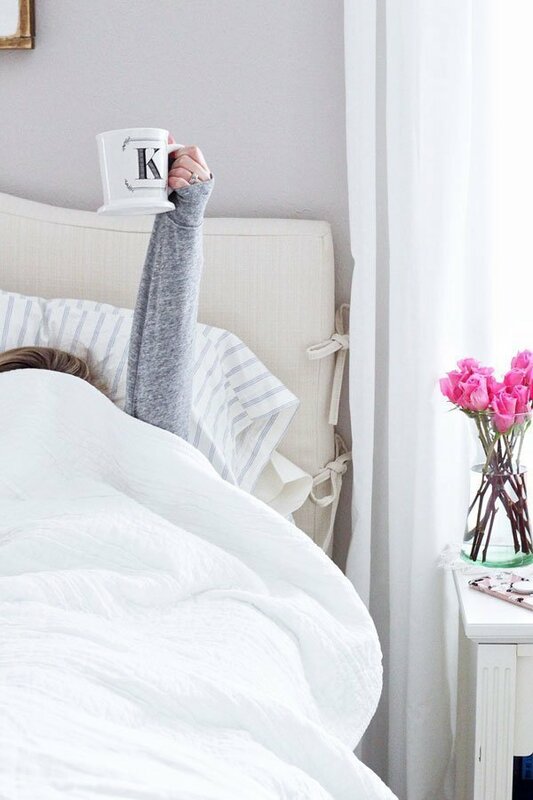 As always after a holiday weekend, I’m sure all of you can agree that Monday morning has come much too soon. Did everybody have a fun and relaxing long weekend? 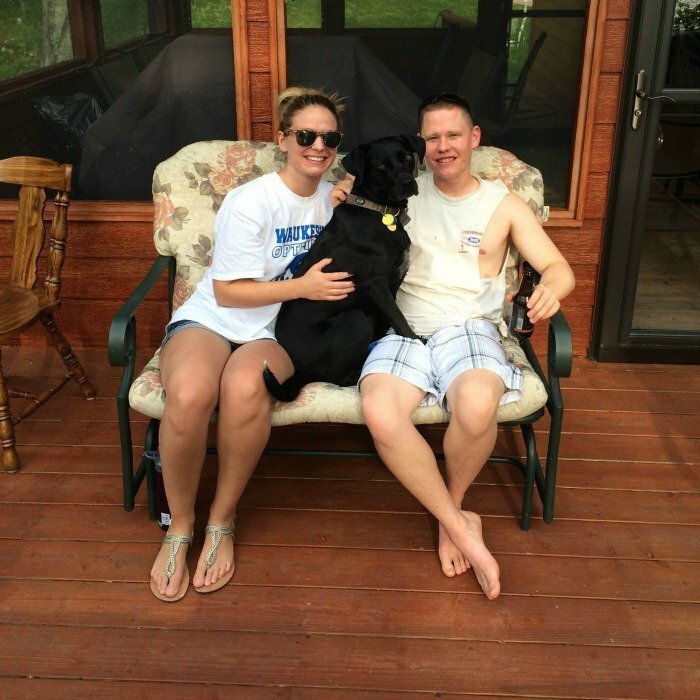 As I mentioned last week, Ryan and I spent the past few days in northern Wisconsin at his family’s lake house in Hayward, Wis. We hadn’t been up there since last Labor Day – we weren’t even married yet! – so it was nice to escape and soak up some sunshine and fresh air. 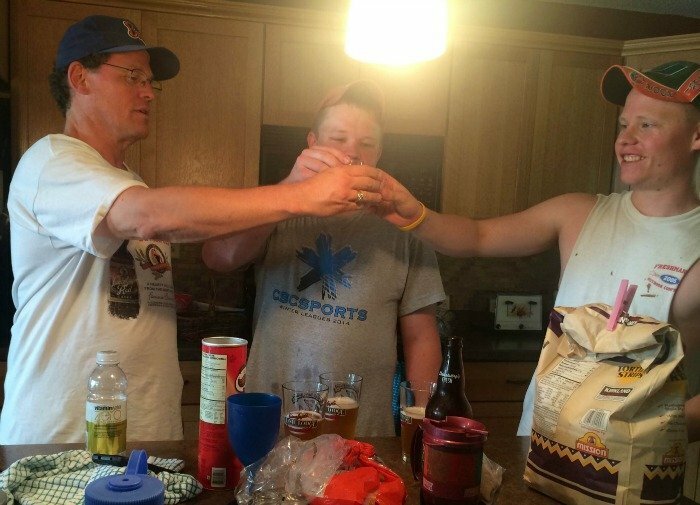 The Anderson men always kick off the weekend with a shot of bourbon (can you say gross?!) and a toast to the ones that came before us … or in their lingo, “the old farts.” As you can see, the fashion up north is something to behold. Ryan’s aunt and uncle also have a lake house about a half hour away, so we spent a couple hours over there Saturday morning. 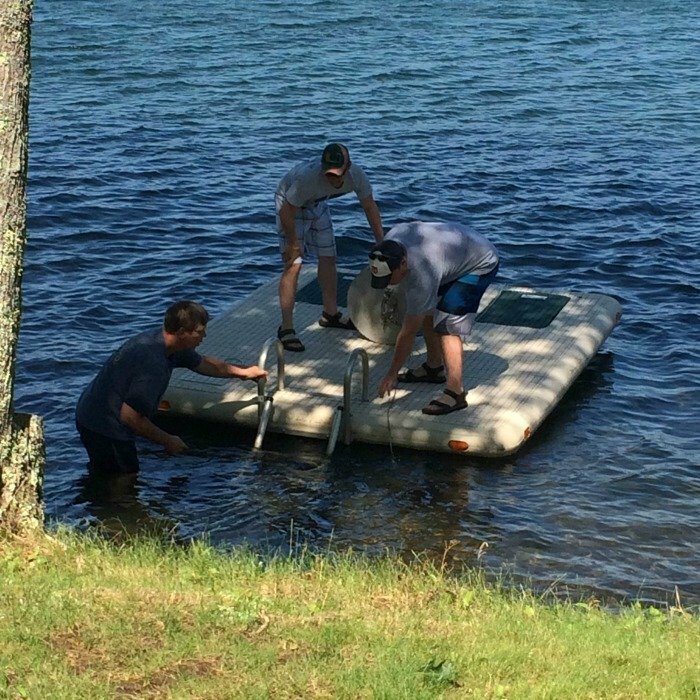 Ryan and his brother, Chris, helped their uncle anchor their raft. This picture doesn’t do it justice, but it was entertaining to watch. … And, we ended on a delicious note – sharing a grasshopper from Angler’s Haven, a popular local bar that’s right on the lake. How did you spend the long weekend? Tell me below! 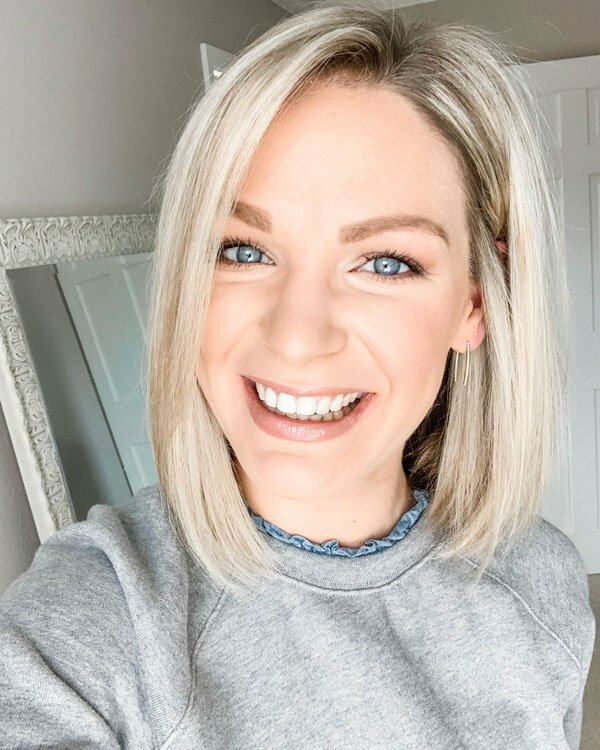 It was a great weekend – thanks for hosting the linkup every week! 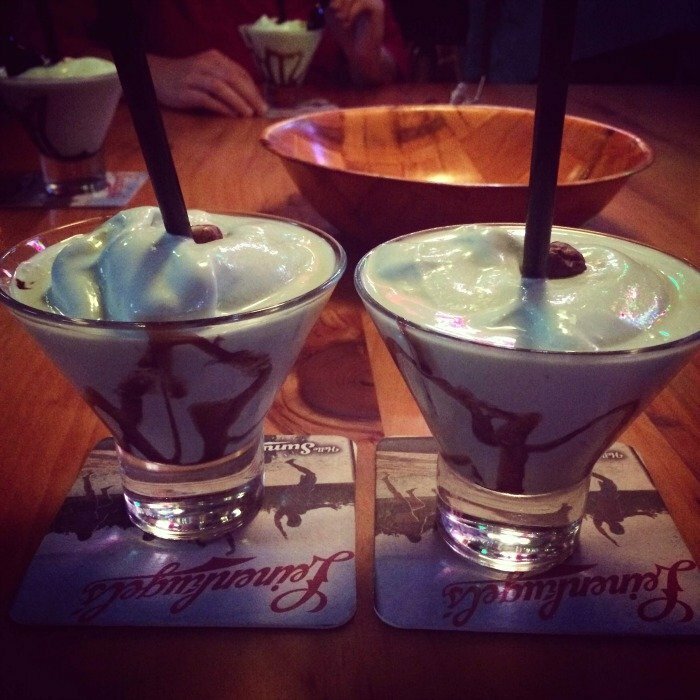 A grasshopper consists of creme de menthe, white creme de cacao and cream … aka deliciousness in a cup! Ah, moving – always a joyous occasion! Looks like a perfect weekend! What is in the "grasshopper"?! It looks amaaazing! Definitely! I couldn't believe it when I read where you were! Mmm bourbon shots sound like my kinda thing – my weekend was spent moving house. Sounds like you had a lovely and relaxing weekend. Are you serious?! What are the chances! That is such a small world. I think one of these days we definitely are going to have to meet up. Thanks girl, it was! Hope you're having a good Monday! It really is! It's a bit of a hike for us when we only can go for a day or two, but it's usually worth it. That's true! I definitely appreciate it more now than when we went growing up. Grasshoppers are the absolute best from that place – I always look forward to them! This looks like such a relaxing weekend- the lake looks so refreshing and like such a nice little getaway! 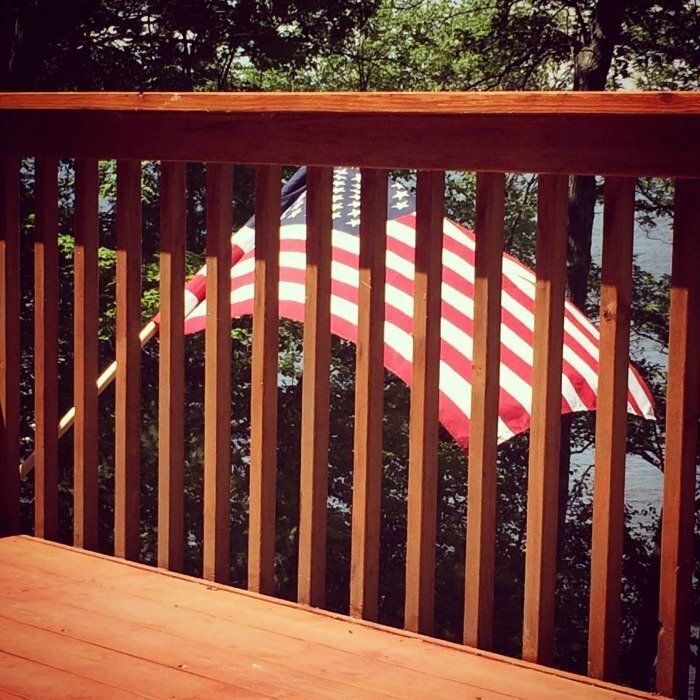 The lake weekend looks so fun.. glad you had a great 4th of July! Looks like you had a fun weekend! Nothing like being "Up North"! Your weekend on the water looks so fun!! I linked up too 🙂 Happy Monday girl!